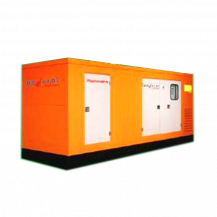 Overview The Mahindra 3385TCIGM C2 25 KVA Generator is a 25 KVA generator from Mahindra. It is a great way to ensure that you are never without electricity. The Mahindra 3385TCIGM C2 25 KVA Generator is a diesel generator which is fuel efficient and has a power rating of 25. 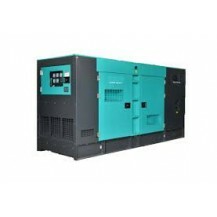 The Mahindra 3385TCIGM C2 25 KVA Generator has low power consumption and is a certified and tested unit. The colour of the generator is orange. The Mahindra 3385TCIGM C2 25 KVA Generator has a worldwide after sales service Size and Dimensions: The dimension of the Mahindra 3385TCIGM C2 25 KVA Generator with top hood is 2120 mm x 900 mm x 1410 mm (L x W x H). The approximate weight of the DG set is 820 kg. The fuel tank capacity of the Mahindra 3385TCIGM C2 25 KVA Generator is 90 litres. This ensures that the generator can run for a long duration without requiring a refill. Technical Features: The Mahindra 3385TCIGM C2 25 KVA Generator has a displacement of 1891 cc. 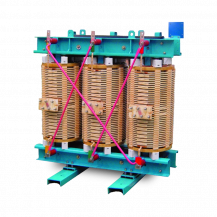 It is a 3 cylinder generator providing a single phase and a three phase line. The Mahindra 3385TCIGM C2 25 KVA Generator has a water based cooling system to ensure that the generator does not overheat. Applicability: The Mahindra 3385TCIGM C2 25 KVA Generator has a battery capacity of 100 Ah. The rated speed is 1500 RPM. The rated current (AMP) Capacity @ 0.8PF one single phase is 108.7 and for three phase is 34.8. 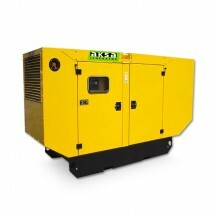 The rated (KWe) of the Mahindra 3385TCIGM C2 25 KVA Generator is 20. Any Other Features: The DG Lifting Type of the Mahindra 3385TCIGM C2 25 KVA Generator is SL (SD). The style of this generator is standby generator. The Mahindra 3385TCIGM C2 25 KVA Generator comes with a one year manufacturer’s warranty. This series products work theory features is mechanical diaphragm metering pumps work by turbine and worm through motor drivenfor low pressure fluid metering applications.Diaphragm metering pumps use the flexible diaphragm replaced piston, it driven by the drive mechanism for reciprocating movement to change the pump chamber volume, also with the action of pump inlet&amp;Outlet valve to finish liquid exaust and drainage.Diaphragm metering pump can according to the needs of variety of processes, the flow capacity can be regulate in the range of 0-100%, quantitative conveying no solid particles of corrosive or non-corrosive liquids. 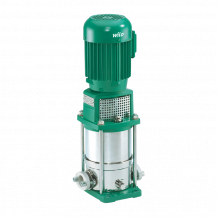 The pump head materials with a variety of choice as like PPH, PTFE, PVC, PVDF, RPP, SS304, 316, 316 L.The diaphragm metering pump can completely isolate the liquid flow and driven lubricant mechanism. Using high-technical design and uses the latest new type of PTFE and rubber composite diaphragm, can resist strong corrosion and greatly extends the diaphragm life. Overview The Mahindra 2205GM C2 15 KVA Generator is a 15 KVA generator and a good choice for uninterrupted power supply of a private residence. The Mahindra generators are built as silent gen sets and this helps to maintain the peace and quiet. The Mahindra 2205GM C2 15 KVA Generator gives unparalleled performance and the low vibration of the generator enables the owner to mount it on the roof top. The Mahindra 2205GM C2 15 KVA Generator is a good choice for power backup and ensures a seamless switch over in case of power failure. The Mahindra 2205GM C2 15 KVA Generator is a fuel efficient diesel generator. 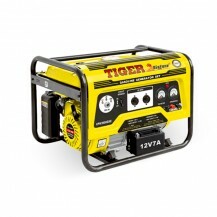 The generator has a power rating of 15. 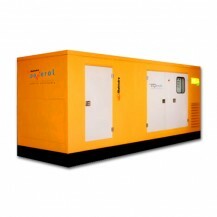 The Mahindra 2205GM C2 15 KVA Generator is a certified and tested unit and is orange in colour. Mahindra gives a very good after sales service for their generators, offering any kind of help that might be required with the generator. Size and Dimensions: The dimension of the Mahindra 2205GM C2 15 KVA Generator with top hood is 1800 mm x 900 mm x 1300 mm (L x W x H). The approximate weight of the DG set is 680 kg. The integrated fuel tank capacity of the Mahindra 2205GM C2 15 KVA Generator is 90 litres and gives sufficient number of hours of uninterrupted power supply. Technical Features: The Mahindra 2205GM C2 15 KVA Generator can displace 1489 cc at a rated speed of 1500 RPM. It is a 2 cylinder generator providing a single phase and three phase line. The Mahindra 2205GM C2 15 KVA Generator has a water cooled system to keep the generator from getting heated up. 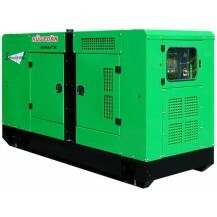 Applicability: The Mahindra 2205GM C2 15 KVA Generator has a battery capacity of 88 Ah. The rated current (AMP) Capacity @ 0.8PF for the single phase line is 65.25 and for the three phase line is 20.9. 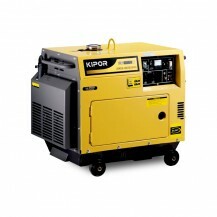 The rated (KWe) of the Mahindra 2205GM C2 15 KVA Generator is 12. Any Other Features: The DG Lifting Type of the Mahindra 2205GM C2 15 KVA Generator SL(SD). The style of this generator is standby generator. The Mahindra 2205GM C2 15 KVA Generator comes with a one year manufacturer’s warranty. လ်ွပ္စစ္ဓာတ္အား လိုအပ္ခ်က္မ်ားအတြက္ ပူစရာမလိုဘူးေနာ္ေရာင္းအားအေကာင္းဆံုး၊ အရည္အေသြးအၿမင့္မားဆံုး၊ စြမ္းေဆာင္ရည္အေကာင္းဆံုး GSP Generator Sound Proof ေတြရွိပါတယ္ စက္ရံုလုပ္ငန္းသံုး စက္ၾကီးမ်ားသာမက ရံုးသံုး အလတ္စားမ်ားနဲ႔ အိမ္သံုးအေသးစား မ်ားရွိပါတယ္ ဒီဇယ္ သံုးၿဖစ္တာေၾကာင့္ ေရရွည္ကုန္ၾကမႈစရိတ္ကိုအထူးေလာ႕ခ်ေပးပါတယ္ တစ္ၿခားမီးစက္မ်ားလိုမဟုတ္ဘဲ အသံက်ယ္ေလာင္မႈကိုေလ်ာ႕ခ်ထားမႈေၾကာင့္သံုးစြဲသူမ်ား အၾကိဳက္ေတြ႕ေစမွာအမွန္ပါ.. 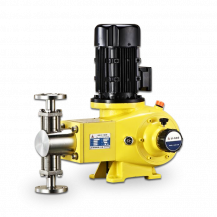 Wet rotor circulation pump, with flanged connection. (Flange perpendicular to shaft). Pre-selectable speeds to adjust the capacity on &quot;S&quot; versions. Cast iron body for hot-water heating systems of all kinds, industrial circulation systems, cold-water systems and air-conditioning systems. Feature :High security and reliability in operation. :Economic and efficient to reduce network loss and working cost. :Low temperature rise. 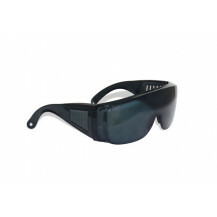 :Low noise :Operation in most place with high moisture-proof capability. :Customized transformers are available. 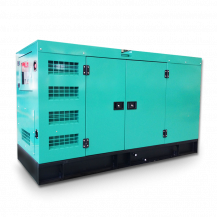 Standard Silent Type Gensets Specifications 1. noise performance is conforming to international standard 65-75dBA at 1m distance. 2. 3C good ventilation system and heat radiation handling can protect gensets working in any ambient temperature all the time. 3. base tank designed can assure gensets running continuously about 8-10hours. 4. newly developed noise-absorbing material adopted, and anti-damping between base fram and gensets body can further reduce noise. 5. with design of 3 doors and 1 observation windows. 6.Excellent engines and alternators featured with strong power,high torque,quick start,easy maintenance and operation. 7.Compact structure,small size,and longer service life. 8.The canopies are made of high quality steel and powder coated.The paint is highly endurable against erosion and scratch,and strongly rustproof. 9.The control panel,service doors and canopy board adopt waterproof design and effectively stop rain and dust intrusion. 10.All movable devices are fixed firmly,and therefore help reduce vibration. - STAMFORD (or) MARATHON Alternator - Brushless, single bearing system, - flexible disc, 4 poles - Insulation Class H - Standard degree of protection IP 21 - Self-exciting and self-regulating - Impregnation with tropicalised epoxy varnish - Solid State Automatic Voltage Regulator We have been in the field of power generator for decades, and with our plates in TURKEY and China, we offer high quality diesel genset, gas generator set, features of high reliable and durable. 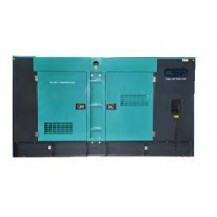 The power for genset, we can offer from 1KVA-2250KVA. Open style or Canopy style are both available in our plant, and various accessories like trailor, canopy, extra heat equipment, they are just according to your project. 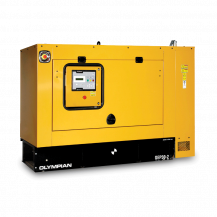 Providing reliable energy solutions, our C4.4 diesel generator sets are made to meet your standby and prime applications. 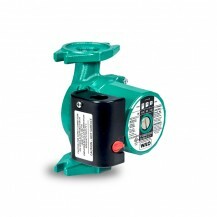 Dedicated single phase and three phase models are available. All standby C4.4 generator sets are supplied with 4 years extended service coverage as standard. We’ve designed each to ISO 8528-5 transient response requirements. 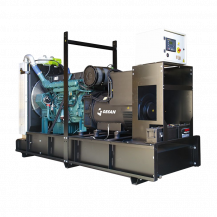 C4.4 generator sets are available with a choice of emissions levels from non regulated up to EU Stage IIIA emissions compliant. We offer easy-to-use Cat control panels, EMCP 4.1 or EMCP 4.2 options. Browse a broad range of accessories including galvanised sound attenuated enclosures and integral fuel tanks. Our C4.4 generator sets are made for demands, so you can make yours. BaganMart.com is right place for Electrical equipments in Myanmar. You can buy or sell Wire &amp; Accesssories,Motor &amp; Generator,Transformers &amp; Power Supplies,Electrical Components,Circuit Breaker,Invertors,UPS,Voltage Regulators,Lighting Products,Sola &amp; Batteries and General Electrical Equipments in Myanmar.If you cannot find what you want, you can post buying offer in relevant categories such as&nbsp;Dynamo,cable,etc.., in Myanmar.&nbsp;Many suppliers will send you quotations. You just select the best one and choose it. Then, you can give review good or bad.